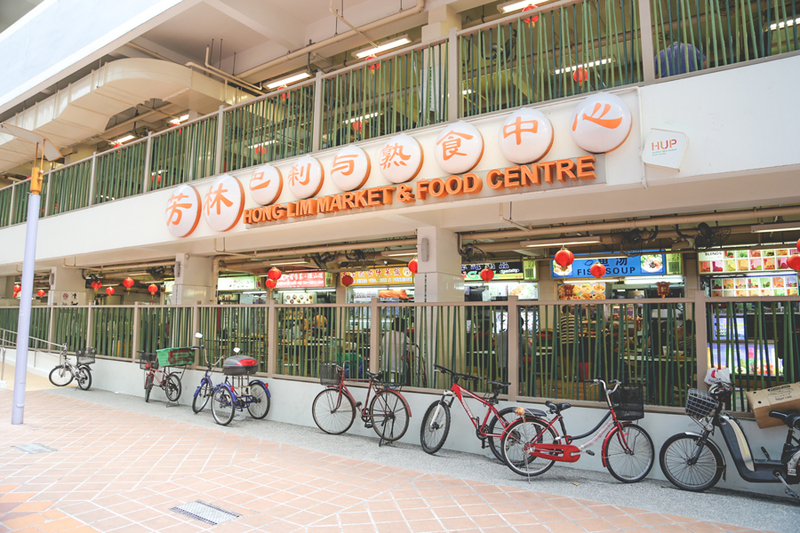 People talk about Maxwell, Tiong Bahru, Newton, Chomp Chomp, but Hong Lim Market & Food Centre seems to be more off-the-radar compared to the rest. 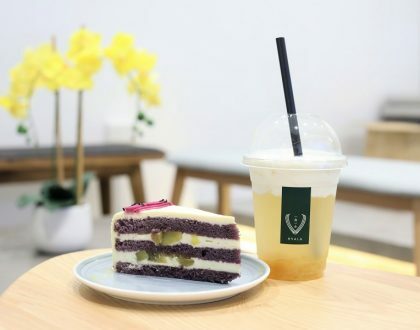 “Hong Lim” has well, been quite known for its speakers’ corner, but one mustn’t forget that the two storey food centre is a gathering of some of the best street food available in Singapore. 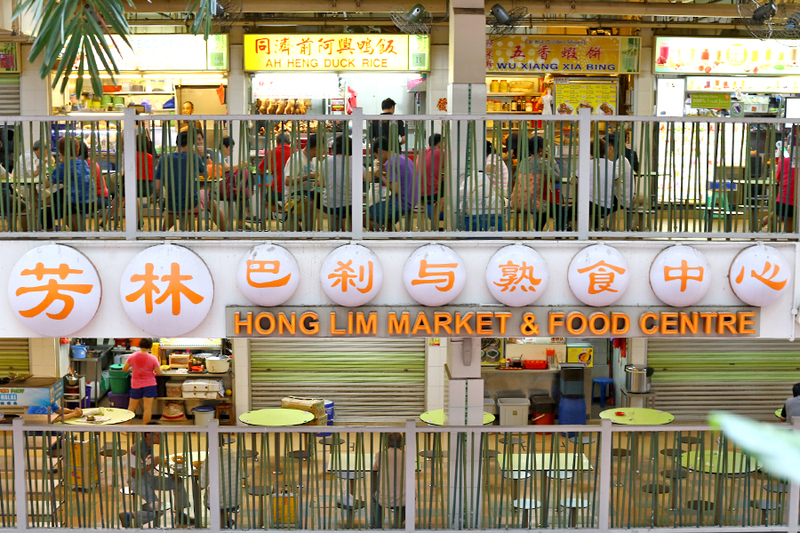 Many stalls at Hong Lim continue to enjoy long queues. 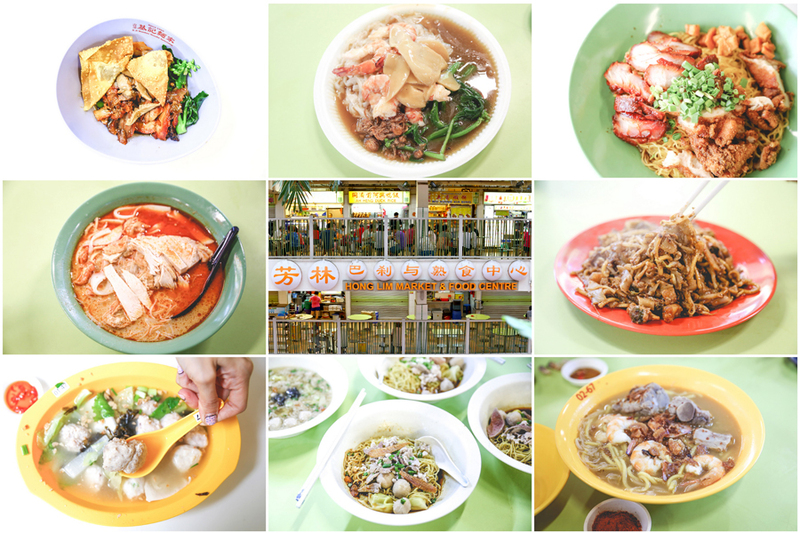 Some of which are Heng Kee Curry Chicken Bee Hoon Mee, High Street Tai Wah Pork Noodles, Ah Kow Mushroom Minced Pork Mee, Teo Heng Porridge Stall, Hwee Kee Kway Chap, Hong Xing Handmade Fishball, Hiong Kee Rice Dumplings, and The Old Stall Hokkien Prawn Mee. 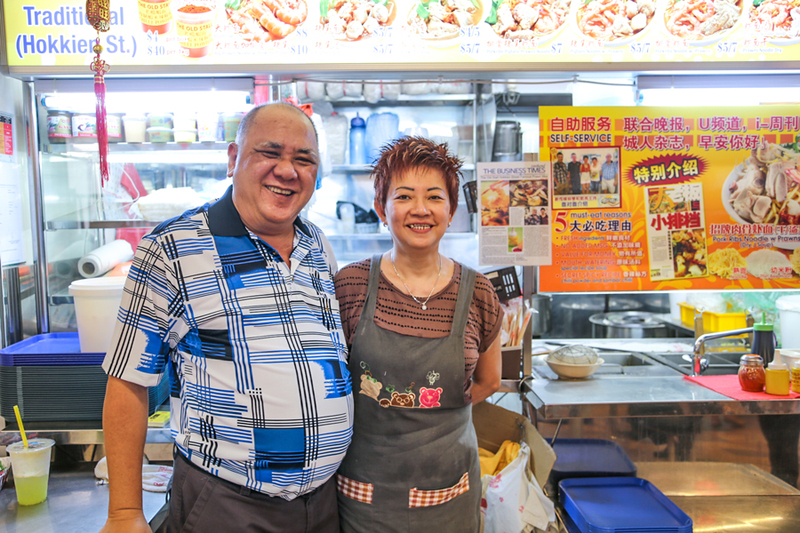 Either their original bosses or children are holding the fort, so we have the assurance that these local delicacies are still in same hands, at least for a good number of years. My optician used to be at Outram Park, and being short-sighted since the age of 5 meant I have been eating from this stall for a long, long time. Uncle Ng used to sell at this corner coffeeshop (before that Metropole Cinema) where the entire space was filled with soot and smell. The entire plate was full of hum and pork lard which I would crunch to bits. It may explain for my obesity at primary school. Mr Ng Chin Chye has taken over the stall from his father. 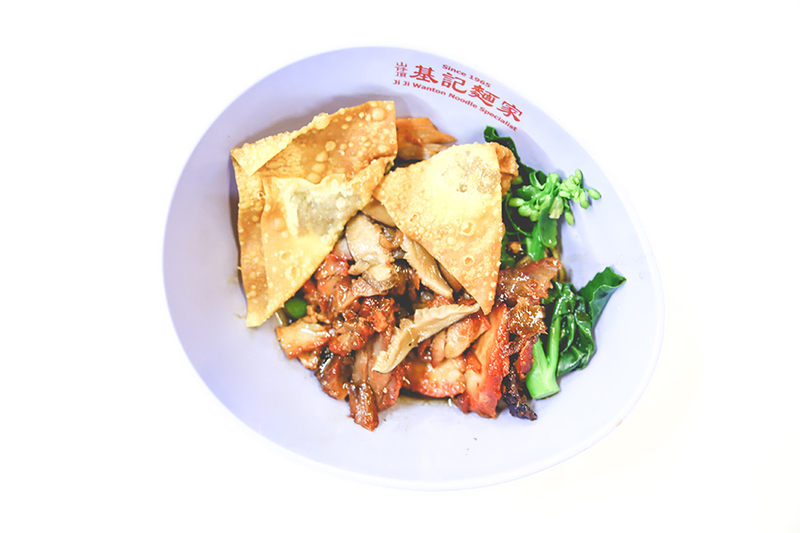 While it is not as smoky or oily than his father’s, his skills of executing a plate of char kway teow with wok hei cannot be undermined. He fries every plate individually, squeezing an exact 42 squeezes of a special mixture made of soy sauce and fish sauce. The result is dark black kway tiao almost evenly covered with moist egg, still smoking hot when served, still with some of those crispy pork lard. Recently awarded the Michelin Bib Gourmand. 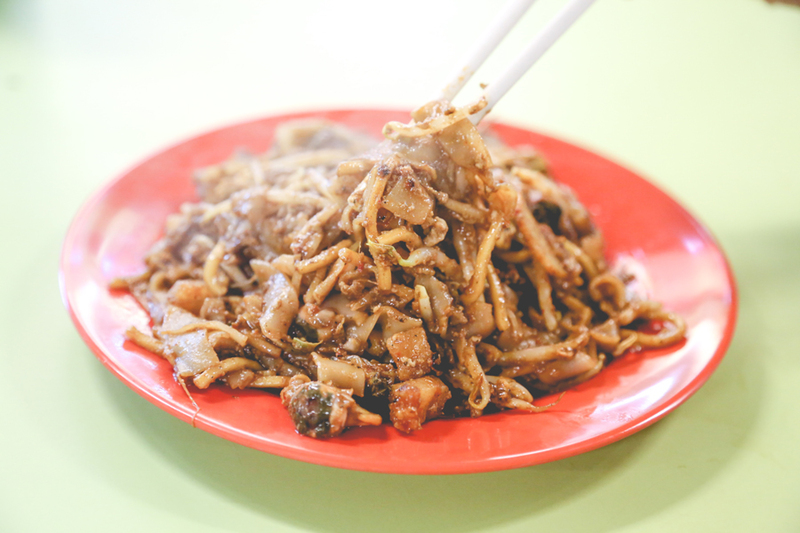 Outram Park Fried Kway Teow Mee. Many come for their crayfish horfun. I had the prawn and mushroom version instead, and found out that the winning combination is really the smooth thinner than usual horfun that would slide down as you eat. The tasty sauce was cooked with chicken bones and prawns. Instead of eating, you could almost slurp the noodles because it was soft, long yet not clumpy. Definitely one of the better versions around. While I did not get clayfish from the last stall, I got it from this. 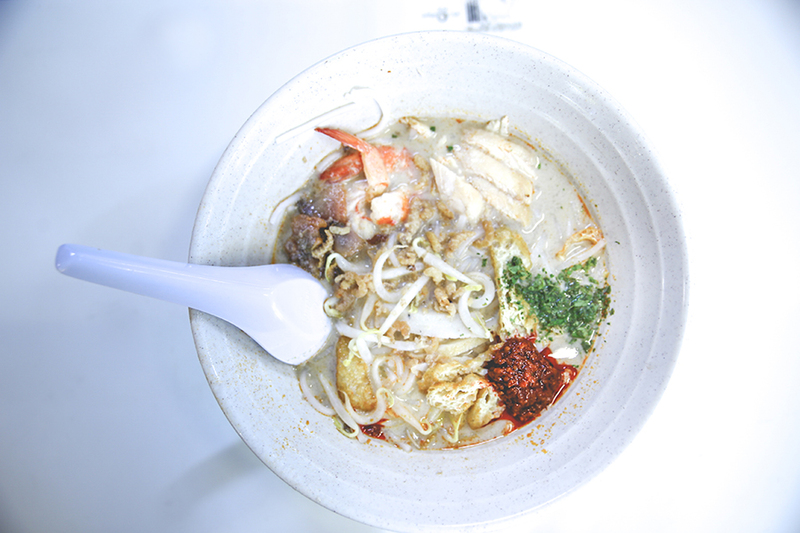 The Asia Delight Laksa is also one of a kind. 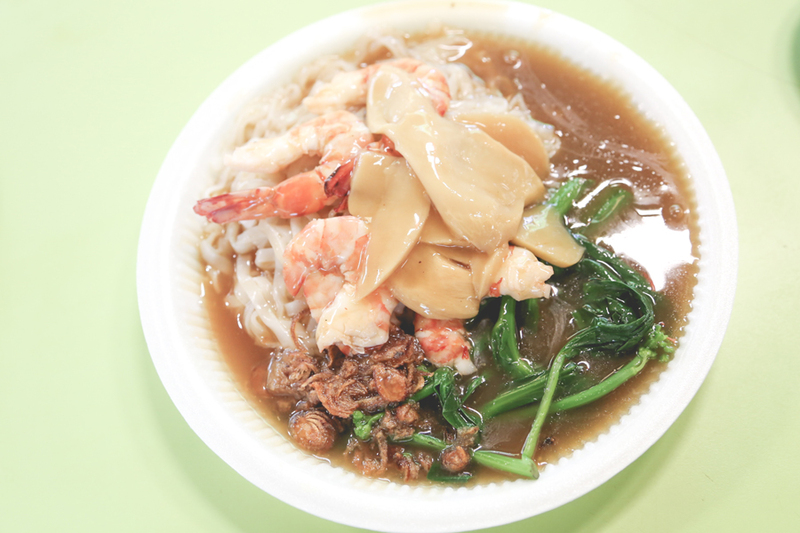 The gravy cooked using fresh coconut, scallops, dried oysters and dried prawns was rather flavourful, yet with thin texture somewhat like chicken soup. Not as ‘lemak’ (coconuty) or thick like the normal (unhealthier) ones, so some customers might not enjoy this version as much. Owner Mr Soo was also generous with the ingredients with fishcake, prawns, cockles, tau pok and slices of chicken added. He also sells a strange-sounding fruit juice Mee Siam. 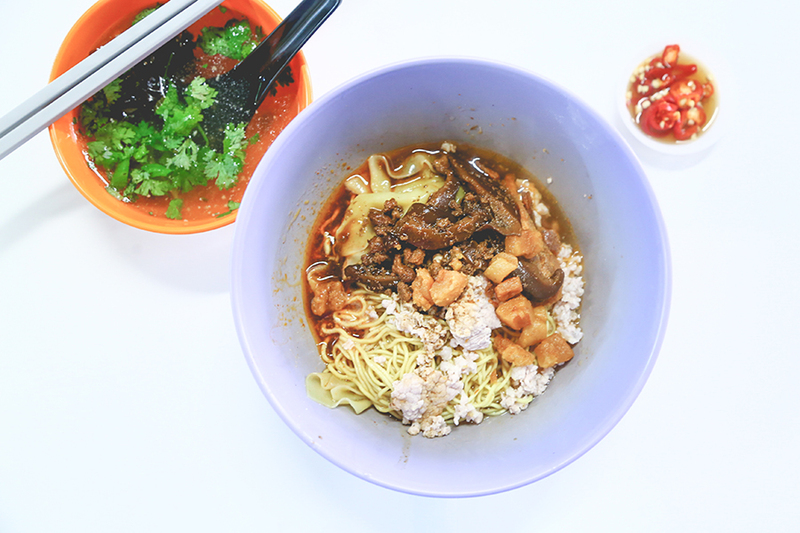 Heng Kee Curry Chicken Bee Hoon Mee downstairs is said to be the original and have a longer queue, but Ah Heng makes some calorie-worthy curry chicken noodles as well. 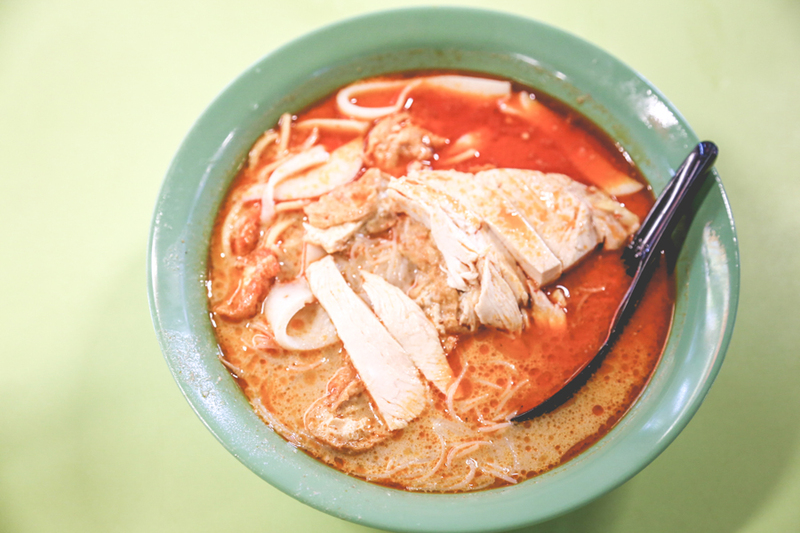 Now you know Hong Lim serves good curry chicken noodles both upstairs and downstairs. The chicken, like chopped Hainanese chicken, was moist and tender, topped on a bowl of oily coconut-ty gravy. Plus generous portions of fish cake and taupok soaked within. They have their own facebook page, where they update followers of happenings and repost fan’s photos of theirs. 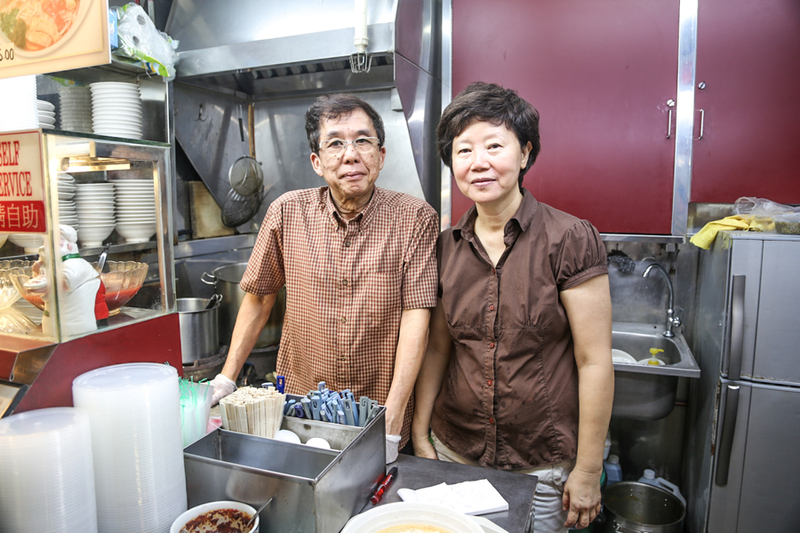 Although Ji Ji have been around since 1965, they really propelled into fame when it won the “Favourite Hawker” in the wanton noodles category by a huge margin, beating all the usual suspects. Recently, I discovered that their soy sauce chicken wing and dumpling noodles are gems of their own. 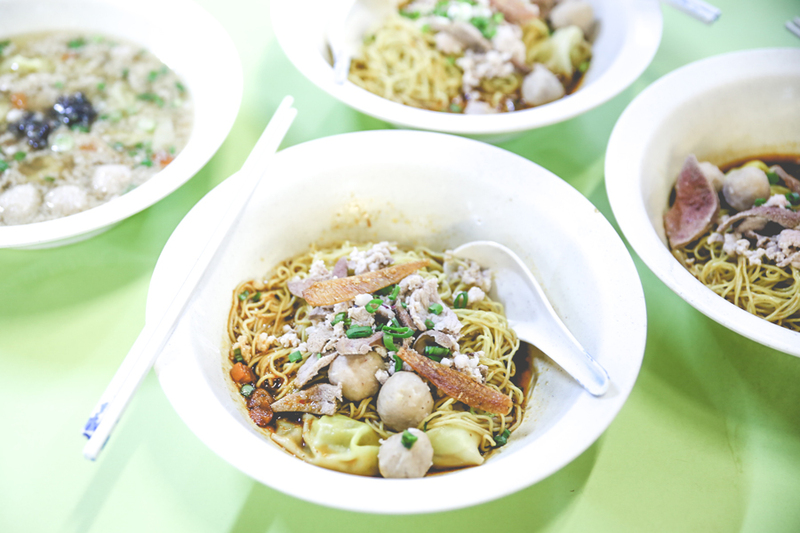 Their noodle texture is almost entirely different from all the other usual stalls, slightly thicker and moist. Owner Auntie Lau had an operation, had passed the business to her two daughters, though she is still around helping out. 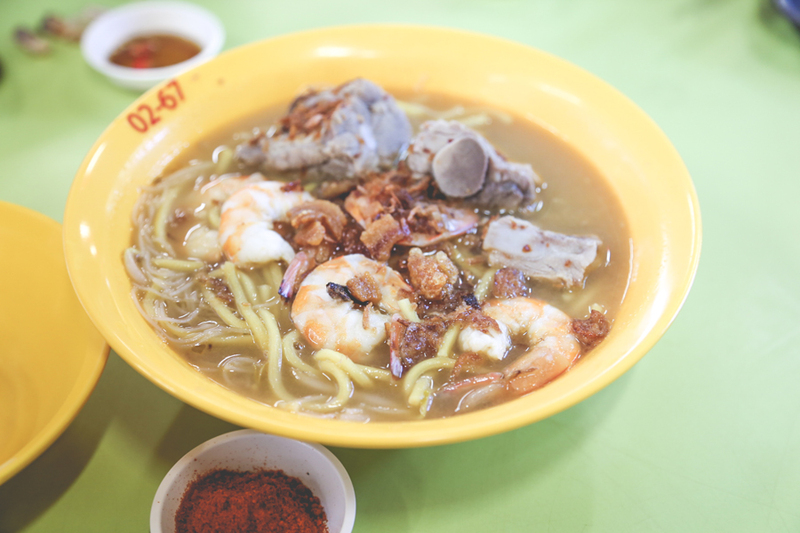 According to the owner Mr Tan, his grandparents used to serve this style of Hokkien Prawn Noodles at Hokkien Street back in the 1940s, but had to move to the hawker centre after street stalls were ‘cleaned up’. I find the soup stock cooked with prawn shells and pork bones had a lighter, less salty touch than some of the typical prawn noodles. Do add some of their house-mate chilli powder, made with a secret recipe which included dried shrimps. There are still customers who confuse this with the 1 Michelin starred Hill Street Tai Hwa Pork Noodles at Crawford Lane. This is Tai WAH, that is Tai HWA. The winning formula is the sauce base with a mixture of vinegar, soy sauce and chilli. There is a soft, chewy bite to the mee kia, though I would have personally preferred it to be springier. 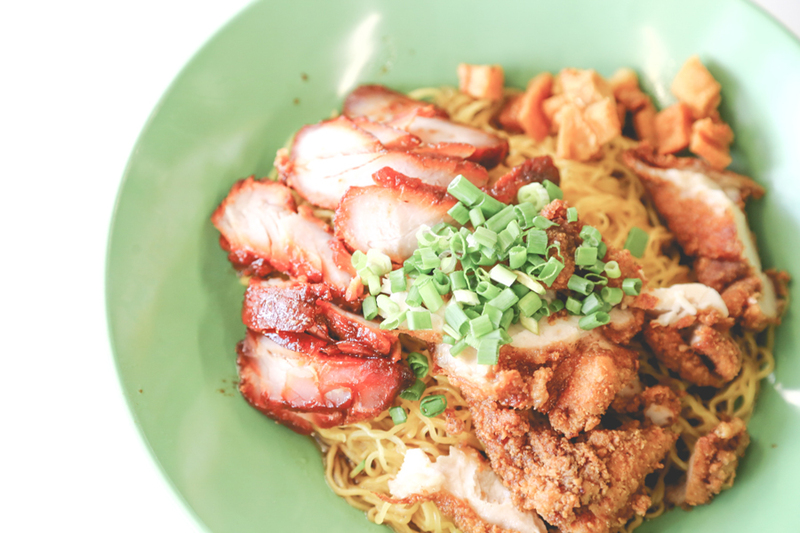 The other famous Bak Chor Mee stall at this food centre, and I actually prefer this version. Opps. Uncle Cher’s noodles with tossed with special black vinegar, topped with stewed shitake mushrooms, deep fried lard, fresh pork slices and dumplings (slightly thick for these). I thought that the bite and texture of the noodles was spot-on. Take note that the chilli can be on the spicier side. Only catch? Ah Kow is only opened during the weekends for limited number of hours. 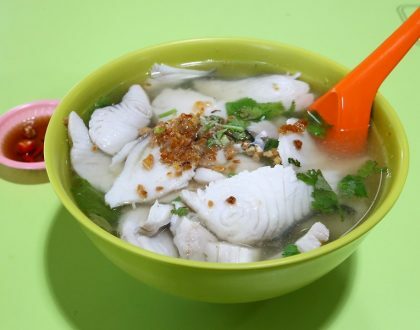 Did anybody tell you about this ‘hidden’ Sotong Ball soup stall before? I say ‘hidden’ because few people actually wrote about it, but the stall is constantly having long queues, especially with the office workers. After having Sotong Balls and Fish Balls made by machinery for so many years, having handmade ones in a light-base fish stock soup felt like having wonderful home-made soup by mum (except for the super hot weather). This is one stall that serves several items, and actually excel in most of them. 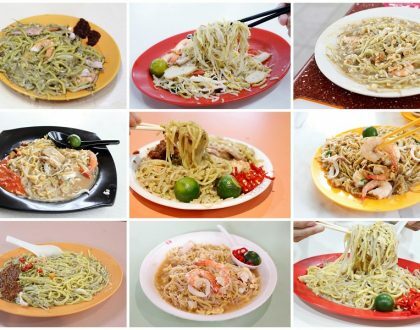 Wanton Noodles, Chicken Cutlet Noodles, Curry Chicken Noodles, Laksa Yong Tau Foo anyone? Usually we hardly find curry noodles served with mee kia (thin noodles), but you can make your choice here, topped up with a slab of golden crispy chicken cutlet. The curry was thick, aromatic and slurp-worthy. Equally worth a try is the Wanton Noodles with thick but tender roast pork. Only thing is, the queue is long, and moves very, very slowly. Is there any news about where to find this while Hong Lim is closed for renovations? Or are the stall owners taking break?